Portofino is one of Italy’s most exclusive locations on the Italian Mediterranean, secretly nestled about a tiny harbour, where the residents enjoy a gentile and opulent lifestyle. It’s a destination of exquisite taste, luxury living and Italian charm. 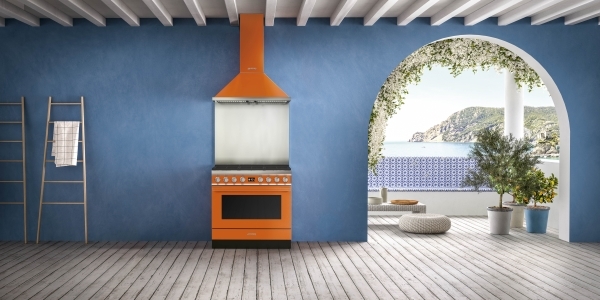 When Smeg’s design studio embarked on its newest venture – to create the world’s most energy-efficient large-format cooker, Portofino epitomised the pinnacle of Italian opulence and so the new collection was named. Portofino also inspired the unique colours of the collection; burnt orange, olive green, sunshine yellow and coral red, alongside the more traditional mono colours of black, white, stainless steel and the sumptuous anthracite. In technological terms, Portofino has a robust build quality, best-in-class materials and innovative construction. Smeg’s pioneering Thermoseal 90cm 126L cavity was engineered with optimum isothermic properties giving Portofino the Euoprean A+ energy rating, the most energy efficient cooker in large format available, anywhere – even though its superior elements heat the huge cavity to 200°C in just six minutes. Further technological innovations include Portofino’s leading-edge triple fan technology and dynamic airflow which ensures perfectly consistent cooking – corner-to-corner, edge-to-edge. 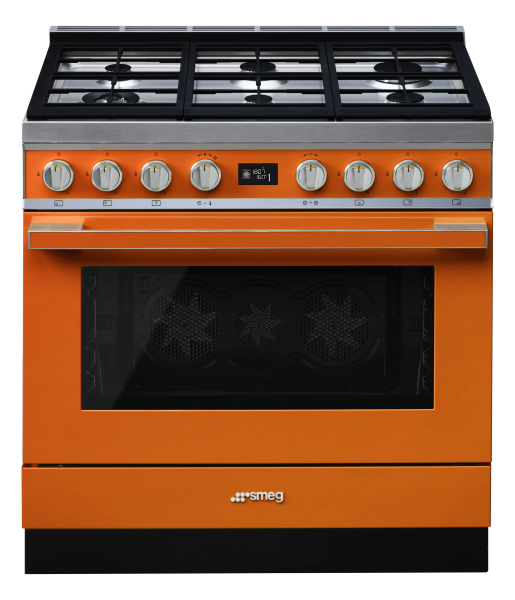 The cooker naturally features Smeg’s unique Thermoseal technology – the science behind every Smeg oven – ensuring perfectly consistent results; juicier roasts, crisper pastry and impressively homogenous baking. And for the first time, Portofino brings electronic programming into the freestanding format with16 cooking functions, and 20 pre-programmed menus for set and forget cooking! Among the safety features is the soft-close, cool door which is always cool to the touch. 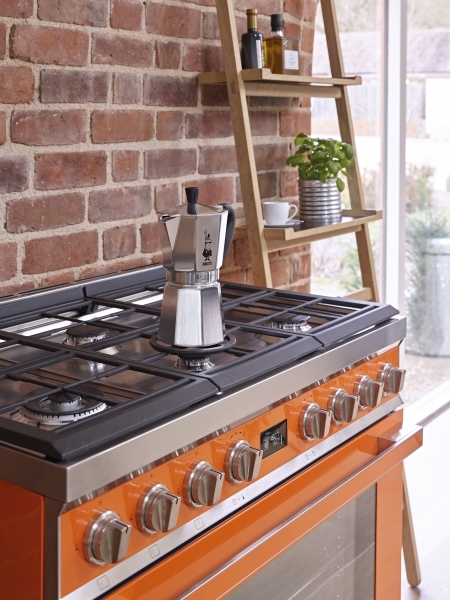 Available with gas or induction cooktop options, Portofino offers the ultimate versatility for stove-top cooking and being perfectly flat, is streamlined to sit flush with kitchen cabinetry.